It can be entertaining, even when you know what is going to happen. We all knew Kevin would be reunited with his family in Home Alone, but that did not stop us giggling the whole way through. The Queen did not tell us anything we didn't already know but Helen Mirren still won an Oscar for best actress. Sometimes you have to sit back and appreciate class. 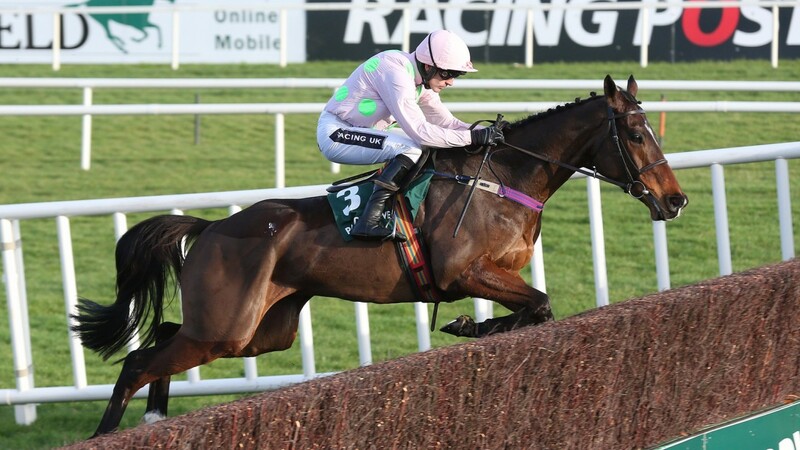 Douvan is pure class. Sunday is not about wondering whether he will win or not, he is rated 18lb superior to Smashing and Paddy Power make him 1-14 favourite, it is about watching a master at work. This is racing's equivalent of seeing Van Gogh with a paintbrush in his hand. Our very own artist. Douvan has been flawless since joining Willie Mullins. He has won all 12 races since arriving from France, including eight over fences, and looked as good as ever when posting Grade 1 win number eight in the Paddy Power Cashcard Chase at Leopardstown's Christmas festival. There is still over five weeks to go until the Queen Mother Champion Chase, yet Douvan is no bigger than 4-9 for glory and as short as 2-7 with some firms. He has taken the two-mile chasing division by storm and Sunday should be little more than a schooling session for the sublime seven-year-old. "I'm just hoping he’s as big a certainty as the bookmakers seem to think," said Mullins. "He does look to have an outstanding chance of making it nine from nine over fences at a track where he has raced three times for three wins, two over hurdles and, more recently, when winning a Grade 1 at the Punchestown festival. He added: "He appears to be in very good form and all has been well with him since his win at Christmas. This race looked the obvious pre-Cheltenham target for him and, fingers crossed, all will go well." Smashing is sure to deploy his customary front-running role and, now that the rain has arrived and he will have his beloved deep ground, he could be harder to peg back than has been the case on his first few starts of the season. Mouse Morris is well aware that disposing of Douvan is practically impossible but he does expect Smashing to produce an improved display now that conditions are finally in his favour. "What can you say? Douvan is a machine and he will be very hard to beat, but Smashing will have his proper ground for the first time this season and he will relish that. He seems to be in good order at home since Thurles where he probably went off too quick and let's hope he can make a race of it," Morris said. Realt Mor has been a great servant to connections. He won the Grade 1 Powers Gold Cup at Fairyhouse back in March of 2013 but still looks to have retained some of his old sparkle judging by his comfortable success over hurdles at Thurles last month. "He has been a great horse over the years and he is a Grade 1 winner so owes us nothing. It was great to see him bounce back and win over hurdles at Thurles and he has been in good form since. This, however, will be very tough with Douvan in there," Gordon Elliott said. The quartet is completed by Draycott Place from the John Ryan stable.